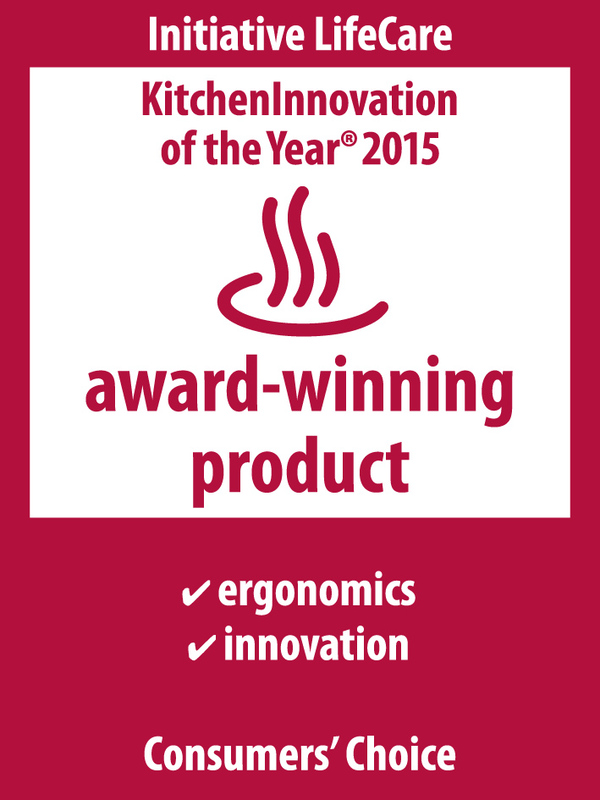 The award winning Gazel Kitchen Knife is the ultimate blend of elegance, comfort and control. 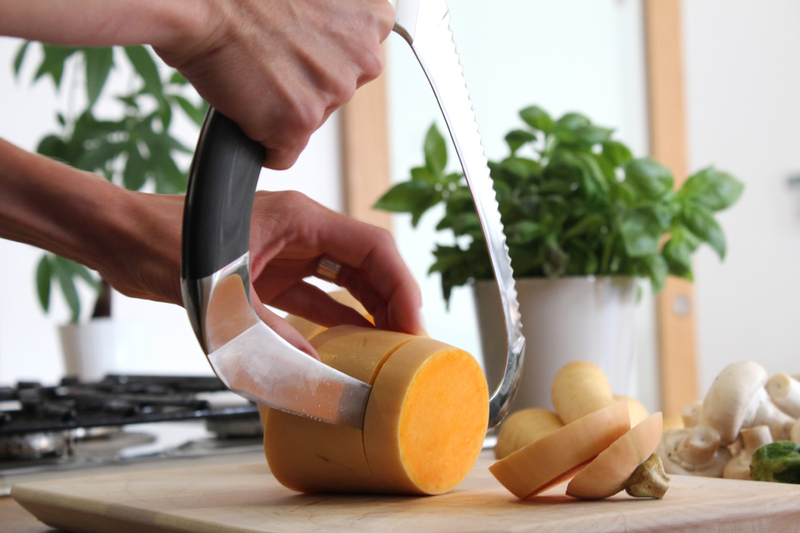 It has a vertical handle, which provides more power, requiring less effort to cut or chop. 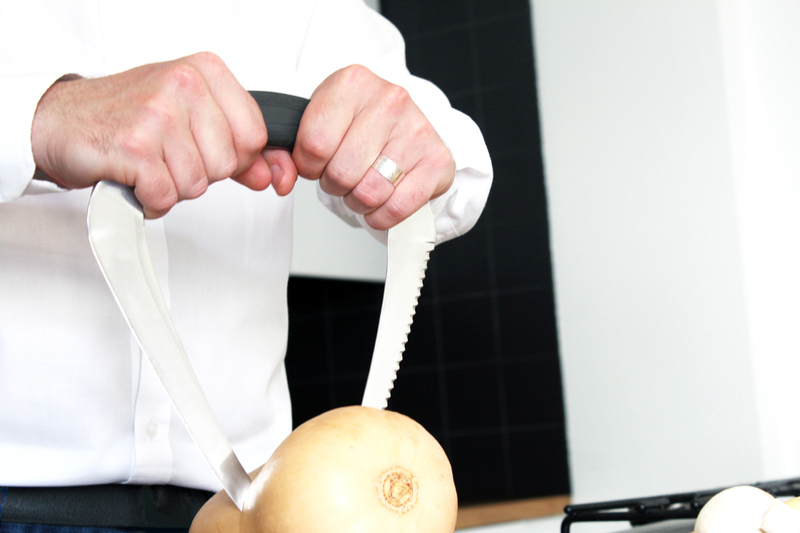 The Gazel Kitchen Knife’s true strength lies in its striking form. Using the vertical ‘power grip’ positions your hand above the blade, thereby transferring more force into the cutting action. 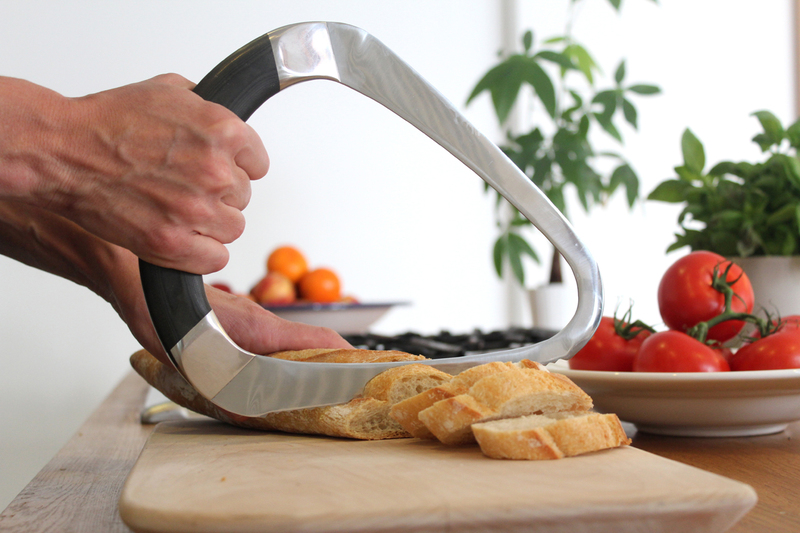 It allows you to chop, slice and dice with confidence. It brings ease, pleasure and a new-found rhythm to meal preparation. It is the perfect kitchen companion for creating and presenting all types of food. The sharp edge slices and dices with minimum effort, the serrated edge glides through bread with ease, while the tip of the knife can be used to split harder foods, like winter vegetables. 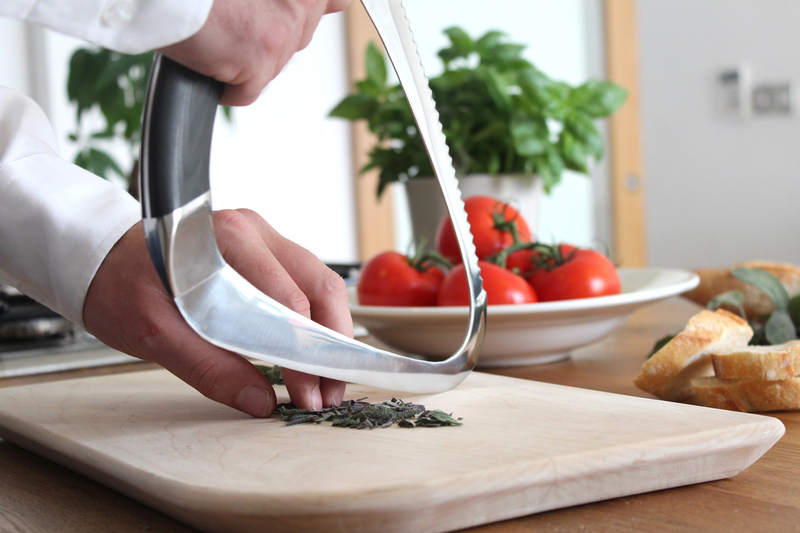 The Gazel Kitchen Knife brings beauty to any kitchen with its pure form, all the while indulging culinary creativity. Design by Gazel. Made in EU. High Carbon Stainless Steel, POM handle, dishwasher safe.